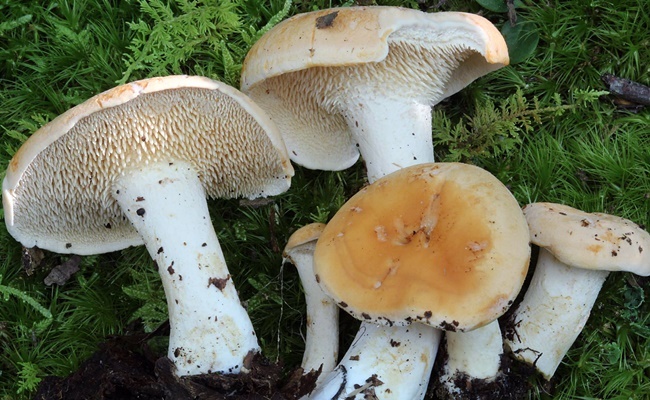 cap is up to 10 cm broad, smooth, sometimes wavy at the edges, light brown with an orange tint. underside has distinctive spines that are cream-colored. flesh is white, slowly and unevenly discoloring to yellow-brown when cut. stem is solid, white, sometimes broadening towards the base. occurs alone or in numbers, growing in association with conifers and hardwoods.